INFO: All in the Details: Lenny and Chuckles Packages Delivered to Toy Story Mania! 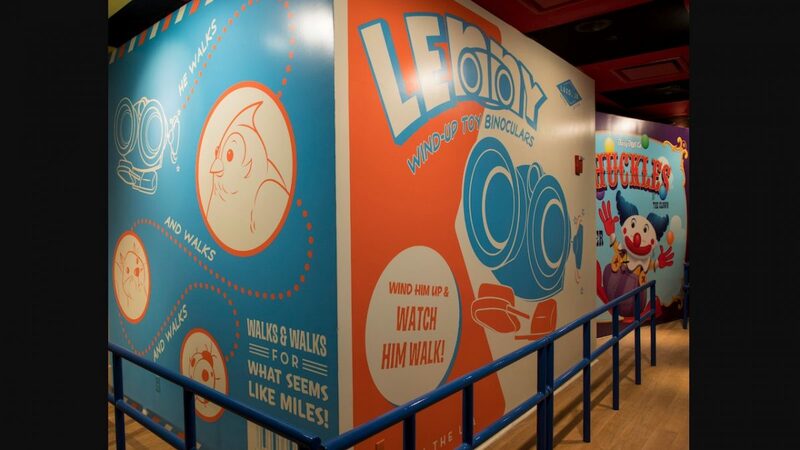 Home/Blog/INFO: All in the Details: Lenny and Chuckles Packages Delivered to Toy Story Mania! This week, two new characters were unveiled in the Toy Story Mania! queue at Disney’s Hollywood Studios. Lenny, Andy’s walking binoculars, and Chuckles the clown, who was introduced to us in “Toy Story 3,” became the latest Toy Story characters to be represented in Toy Story Mania! by way of the boxes they originally came in. These new details were unwrapped as the attraction transforms for the opening of Toy Story Land on June 30. Toy Story Land guests will walk through an all-new entrance featuring a carnival game box to experience Toy Story Mania!, which has been a guest-favorite attraction at the park since it opened in 2008. Now expanded with a third track, the popular attraction will allow even more guests to take aim at 3D objects – using everything from baseballs to cream pies – in a variety of whimsical, fast-paced games.